A family is suing a fertility doctor who they claim used his own sperm to fertilize his patient’s egg. In a plotline that sounds like it was spun out of a television drama, the doctor is accused of switching out the sperm samples of a medical student with his own. The parents have now initiated a lawsuit against both the doctor and the fertility clinic at which the doctor worked. In these cases, families are allowed to choose from a number of profiles who their ideal sperm donor will be. While the family and the donor never know of one another, the couple chose a sperm donor who resembled the father. Each of the parents had a child from a previous relationship but wanted to have one together. The father, however, had a vasectomy and was told that the procedure was irreversible. Forty years later, their daughter was doing research on her own ancestry. This turned up curious results. It was later discovered that the sperm was not donated by an anonymous medical student, but by the doctor who performed the insemination, the family claims. Lawsuits involving fertility clinics are by no means rare. On the other hand, it’s difficult to treat them as you would a typical personal injury lawsuit involving medical malpractice. For instance, what injuries did the patients receive as a result of the medical malpractice? They have a beautiful, fully-grown daughter. 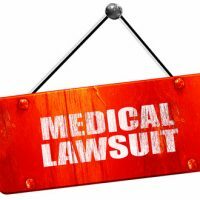 In a case like this, patients would typically sue on the grounds of fraud. More and more, fertility fraud lawsuits are coming into the public eye. In a case like the aforementioned one, it would have been nearly impossible 40 years ago to devise a test confirming who the baby really belonged. Today, DNA tests provide stunningly accurate results and can confirm that one man and one woman created a child together. Is Fertility Fraud a Crime? Fraud is certainly a crime and there are criminal acts involved in using your own sperm to inseminate your patients that are certainly prosecutable. But it’s sometimes unclear what law a doctor precisely violated when using his own sperm to inseminate a patient without their consent. A case can be made that this constitutes a kind of sexual assault, yet no prosecutor has ever attempted to convict a doctor on these grounds. But states, given the rampant nature of fertility fraud, may begin creating special legislation to charge the crime as a felony. Indiana has taken the lead as one major case of fertility fraud ended with a defendant only being charged with two counts of obstruction and serving no jail time. Many believe he got off too easy. The attorneys at the Palmer Law Firm, P.A. in Tampa help those injured by medical negligence recover damages for their injuries. This includes medical expenses, pain and suffering, and other damages related to your injury. Give us a call or talk to us online for a free consultation.